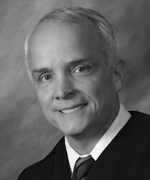 Justice Humes was first appointed to the First Appellate District of the California Court of Appeal in December 2012 by Governor Edmund G. Brown, Jr. He joined the court as an Associate Justice in Division Four, and in July 2014 he was elevated to be the Presiding Justice of Division One. Justice Humes is married to his partner, Joe Quinn, and they live in San Francisco.